In 1978, Waylon Jennings and Willie Nelson popularized a song warning mothers not to let their kids grow up to be cowboys. The shooting in Ferguson, Mo., triggered a storm of protest against law enforcement across the country. Because ethnic minorities have been involved in the most widely publicized confrontations, many actions taken by the police these days are labelled as racist. There is little doubt that racism is a factor in some police aggressiveness, but it is not the only factor. Lawless activity is what brings the police to a scene in the first place, so criminal behavior is a major contributor to explosive situations. This constant contact with the criminal culture gives police officers a frame of mind that anticipates trouble and violence on every call. They function in an atmosphere of constant turmoil and lawlessness. 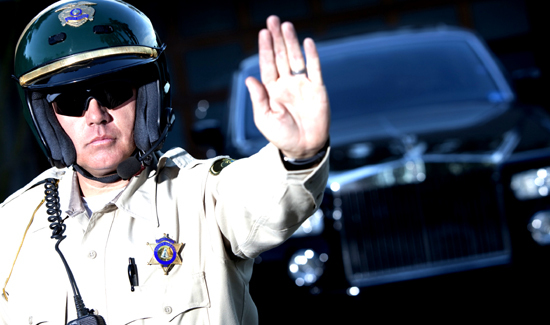 I have been an American Law Enforcement officer for 3 decades now, in Southern California! I agree with some of what this writer says, the portion of not wanting your kids to follow in your foot steps! I have discourage my adult children from working in this field! The liberal idiots in this country have ruined this great profession! Of course we have do so our selves, but I contend that 98% of the officers in this country do the job for hte right reasons everytime, with only a few mistakes! We have academies now where cadets have stress cards???!!! Really, that will help that trainee on the streets, NOT!! As far as too many gun carriers, this writter is DEAD wrong! The cities and states that allow citizens to have CCW’s have lower crime rates, that is a proven fact! Look at Chicago, the harshest gun control laws in the U.S., that works really well, like Memorial day weekend!!! I would much rather know a good citizen has a concealed weapon, because I know every crook already has one! With gun control, the crooks are not going to give their guns up, the only people that will be without guns is the law abiding citizen! No, I blame the new media for most of the racism in this country. They never publish anything good anymore, it doesnt sell news papers! I cant wait to call it quits in this business!